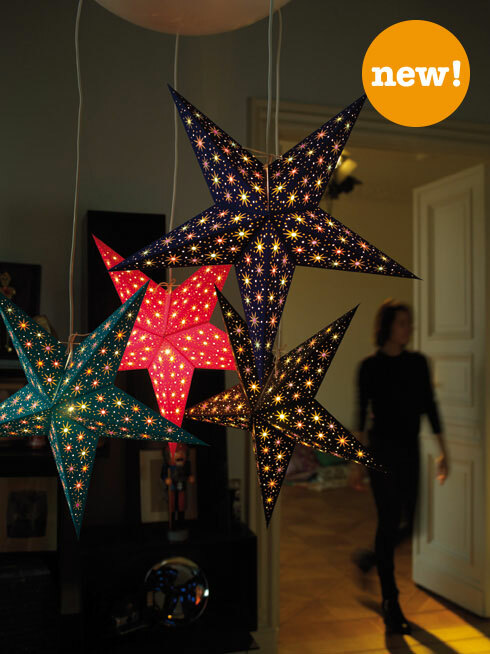 The “starlet” lamps shine with a distinct twinkle – like stars in a night sky. Besides black and red, the design is now also available in turquoise and blue. earth friendly starlightz are only original with the red star tag! In 1995 we started manufacturing our illuminated paper stars trademarked as starlightz. To this day we have sold more than 4 million pieces. Our recipe for success consists of changing collections created by our design team, handcrafted with quality, natural raw materials and ideal working conditions for our craftsmen and craftswomen.